Humphrey's parents. Just a simple and quick sketch I did. I saw on Update 3 of AlphaWolfBen that he needs 팬 to give a look to humphrey's parents so...This is how I see them :3. HD Wallpaper and background images in the 알파 앤 오메가 club tagged: photo humphrey kate alpha and omega parents dad mom father mother. Great job on making Humphrey's now-deceased parents. That looks great! Humphrey got his blue eyes from his mom!! WOW!! That is really good! I like how one was a darker grey and the other was grey and white. 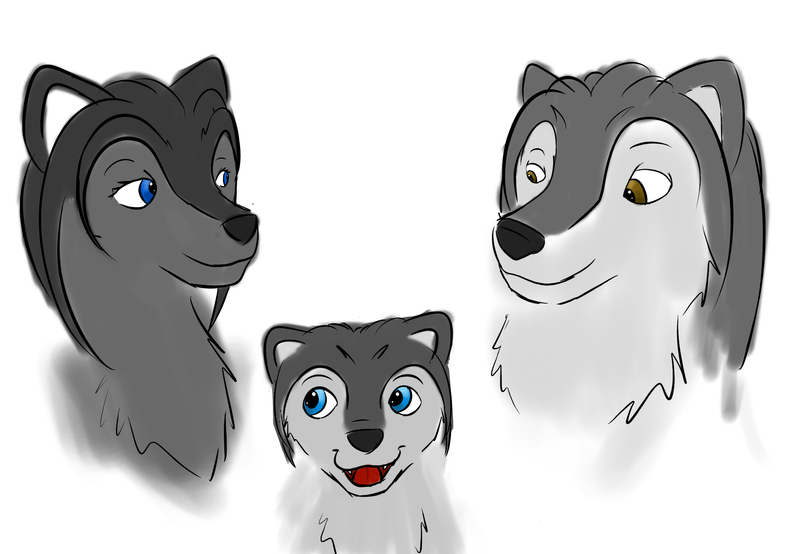 So Humphrey gets the blue eyes from his mother and his white and grey tone from his father. This is one of those things that I would've loved to see in a film and that's one of the reasons why I wrote my fan-fic about Humphrey's parents.